If your bile duct is blocked and the surgeon can’t put a stent in, the bile duct can be cut above the blockage and attached to your small intestine. This procedure is known as choledochojejunostomy. If there is a blockage at the outlet of the stomach that joins the duodenum, (called gastric outlet obstruction) it can make you sick because your stomach isn’t emptying properly. In this case, your surgeon will perform a stomach (gastric) bypass operation such as a gastro-jejunostomy. 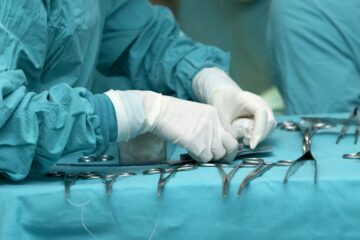 This operation is usually carried out if, during an operation to remove the tumour, your surgeon found out that taking out the affected part of the pancreas did not remove the whole tumour. Continuing with the operation, but leaving some of the tumour behind will delay or prevent more appropriate treatment (e.g. chemotherapy). The aim of the surgery is to allow you to recover as quickly as possible (so that more appropriate treatment may be started) and at the same time make sure that the liver and stomach continue to work properly. The surgeon will join the bile duct directly to part of the small intestine called the jejunum. This allows the bile to flow from the liver into the small intestine and in time the jaundice should fade. At the same time your surgeon will connect a piece of small intestine to the stomach, to bypass the duodenum. This will allow your stomach to empty properly and should prevent blockage of the duodenum at a later stage. You may be cared for in a High Dependency Unit (HDU) before going back to the ward. You might be able to start drinking fluids the evening after your operation and gradually start eating solid food. You should be able to go home once your eating and drinking has improved and your jaundice is getting better.